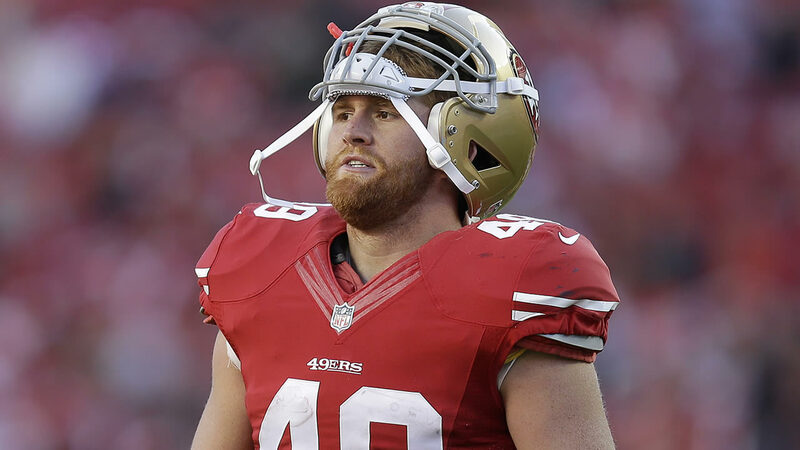 SAN FRANCISCO, CA -- The San Francisco 49ers have released Bruce Miller after he was taken into custody by San Francisco police early Monday morning. Miller has been charged with assault with a deadly weapon, criminal threats and battery. It's not the first time the 29-year-old has been in trouble with the law. He plead no contest last year to a disturbing the peace after a March 2015 argument with his former fiancee. Miller was ordered to attend a domestic violence counseling course. The 49ers released a statement: it reads: "The San Francisco 49ers organization is aware of the media report regarding Bruce Miller. We are gathering the relevant facts of this matter and will continue to monitor the situation."